European Blackjack is essentially the same thing as regular blackjack – with a few, very minimal list of differences, which really should not alter your game much. 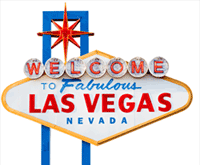 As the name reveals it, it is a blackjack game played regularly in Europe – hence, ‘European Blackjack’ – nothing else to it. First off, the dealer does not draw his/her second card until the player has completed his/her actions/hand. Players may only double down on a 9, 10 and 11 – as well as after a split; but players can’t split more than once per hand. If the dealer gets a blackjack, then the player loses his/her hand. Just like regular blackjack, the game begins by the initial bet by the players against the dealer (the House). Once the bet is done, the dealer will deal the cards one by one to each player, for a total of 2 face-up cards each. The dealer will only draw one face-up card for him/herself while the players finish their hand. The goal is to achieve a 21 without busting out, or to at least out-rank the dealer while still not busting out. Each card’s point value is the same as the number on it – 5=5pts, 8=8pts, and so forth, Jacks, Queens, and Kings represent 10pts, and an Ace represent either 1pt or 11pts – your choice depending on your hand situation. The player can now either split, double down (if after splitting or having a 9, 10, or 11 pt card), hit and/or stand. 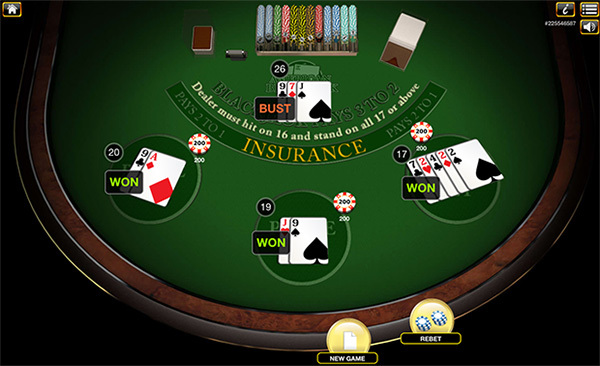 Once the dealer’s turn is done, where he/she must hit anything 17 or lower, you can then see if the players have won, lost, or pushed (gotten their money back due to a tie with the dealer – except for a dealer blackjack, which automatically wins).